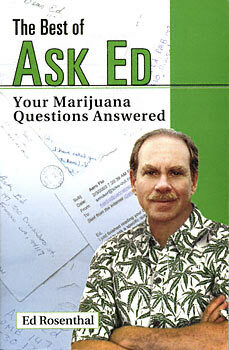 Now get the best marijuana advice in this completely updated collection from Ask Ed, the trusted source that growers and smokers have turned to for over 20 years. Ed also answers questions on health and legal matters, and shares his scrapbook of memorable contest photos sent in by readers of his long-running column. "...Mr. Rosenthal is the pothead's answer to Ann Landers, Judge Judy, Martha Stewart and the Burpee Garden Wizard all in one." "If knowledge is power, then Ed Rosenthal is General Electric."